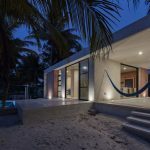 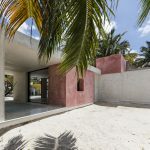 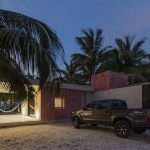 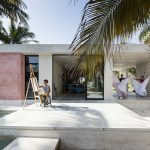 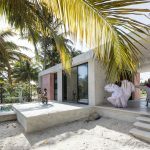 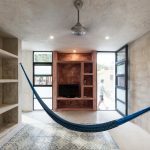 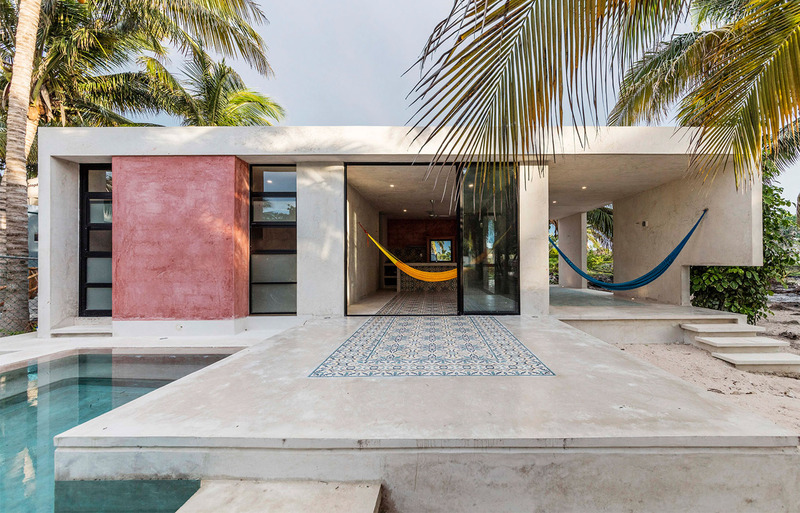 A natural finish made from tree sap covers this compact summer house on Mexico’s Yucatan peninsula, which has plenty of hammocks for relaxing in the shade. 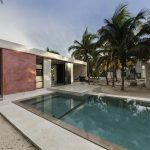 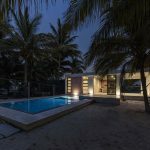 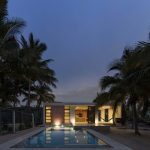 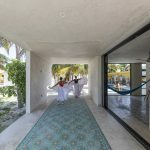 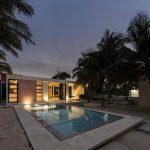 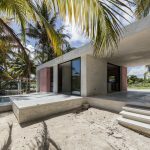 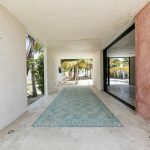 Designed by local architect David Cervera, El Palmar is sits within a grove of palms in Chuburná – a narrow barrier island north of Mérida. 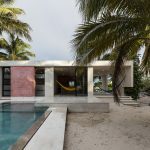 Its plan is divided into almost equal sections, which each face the back yard. 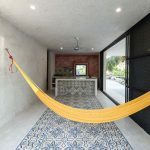 The first has no end walls so is exposed to the outside, with a hammock strung across the gap overlooking the garden. 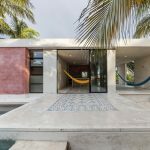 The second, containing the living areas, has full-height glass doors that fold open for access to a terrace that extends from inside. 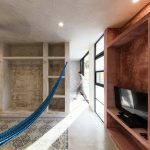 Another hammock stretches in front of the opening. 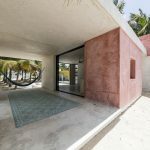 Finally, the bedroom has tall windows that provide views of a long swimming pool, which runs parallel to the terrace but reaches much further into the palm landscape. 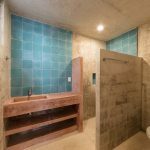 The building is clad and lined in a local material called chukum, a waterproof coating made from tree sap. 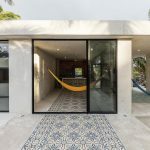 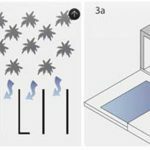 This complements polished concrete floors, which are inlaid with mosaics. 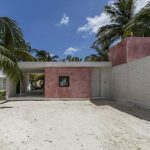 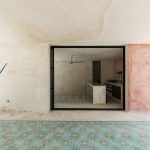 Selected surfaces both inside and out are tinted a dusty pink, while others are covered with contrasting turquoise tiles.